‘Now come’, thought Lucile, ‘he’s only holding my hand as we cross the park. It’s spring, no need to worry. I’m not sixteen any more’. But her heart beat wildly. She felt the blood drain from her face and her hands, and rush to her throat, choking her ... Son Coeur bat la chamade. The heart perhaps is the most impossible of all. The untamed is virtually untouchable by a sound mind, marching to its drum beat, questing for only its desires. Logics and perspectives may temporarily girdle its mad gallop, only to let it rampant again once passion reigns supreme. Often mankind speaks of progress and civilization, how the likes of smallpox or polio are either eradicated or nearly so from the face of the earth. Yet no modern physician can ever cure a broken heart―and the latest gamut of anti-depressants only address the brain’s chemical balance―nor any vaccine can successfully prevent one from falling in love with the wrong person. Caesars and czars may come and go, inciting awes and fears with the might of the day, but the hardest thing to govern, as shown time after time, is still the heart. Nowadays one need not to venture far to see the modern casualties of the heart: tabloid newspapers or gossip standards shall be evident of our fascination of its unpredictability, ranging from the latest indiscretion of the Hollywood stars du jour to the myriad of advice columnists dispensing hope to the unrequited. Or the plain crimes of passion, a plead of temporary insanity that allows one to walk away even from murder. The brain may be our largest organ, yet we speak from the heart when feeling amorous; when emotions run rampant we wear out hearts on our sleeves. We make a promise to our love by crossing out heart, and our hearts go out to anyone who loses their significant others. And when we know what we want? We set our hearts on it. Our intelligence may set us apart from a Darwinian point of view, yet it is our heartbeats that set us in motion, navigating through the illogics of it all. The heart of Paris at the end of the Sixties was certainly beating wildly: a flourish of intellectual and artistic new waves, combined with a sound economic welfare, marked a full turn from the sobriety of the Fifties. Yet that few years of gaiety were "killed" by the 1968 Paris uprising: urban trenches were erected in the heart of Paris as street cobblestones were turned into medieval artilleries. Order, calm, harmony all gave way in that heated moment as everyone’s heart beat la chamade. 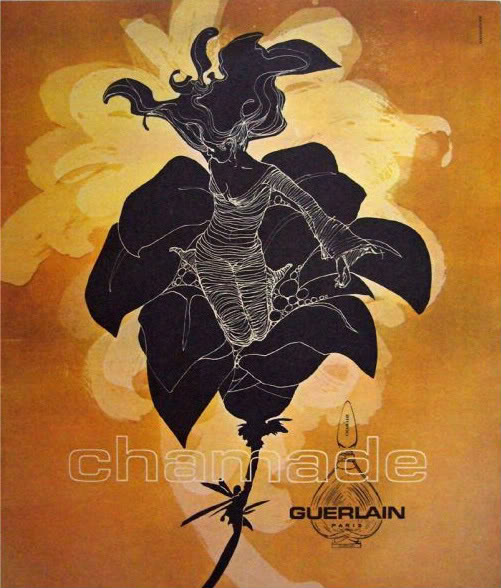 It’s under this mixture of simultaneous cultural boom and bust, this combination of light and darkness that perfumer Jean-Paul Guerlain put his finishing touches on Chamade (1969), one of Guerlain’s fragrance masterpieces. That’s the simple version of this story. True to any Guerlain crown jewels cultural icons endorsing one another in Chamade, drawing upon references of different époques and interlocking them all in the most fascinating ways. Literature, cinema, military history all play part in its development; even a beloved Italian Renaissance masterpiece painting is involved. In the next episode I shall explore the immediate cultural muses to Guerlain Chamade and answer an all-important question―What exactly does French novelist Françoise Sagan, cinematic icon Catherine Deneuve and Napoleon have in common? How beautiful! I am looking forward to your next installment. 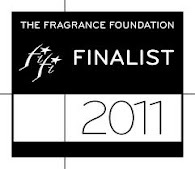 Chamade is one of my favorite fragrances, and I nearly reached for it this morning. If I had read your post first, I would have. But instead I'm wearing YSL Y, another classic. Thanks! Too bad about Chamade this morning; it happens quite often to me as well, almost going to wear something but then doing something else. Y is a pretty good choice as well, though. By the way, there will be five parts to this Chamade series in all, so more coming up! I'm looking forward to the series. Chamade has always intrigued me a lot. It's from the year I was born in, and I love green florals, especially now that it's spring. I smelled the parfum a few years back and it was love, but regrettably didn't buy. Now I'm quite scared of Turin's scathing review in his new book. In the series, please report on the quality of the new offering, and whether the parfum (or the other concentrations) are worth buying at all. Oh, Chamade... so absolutely wonderful. Cacio, thanks so much for your support. I have actually finished writing the whole series last week. To be honest I didn't want to include the modern formulation issues and how the new editions are affected as a result. The amount of information without dealing with that topic, as you will soon find out, is pretty extensive as is, not to mention Turin and company are devoting quite a bit to the subject. Now we here at Perfume Shrine would keep the topic as an option (Elena might want to devote a post on that subject herself) but it's not in the cards for me right now unfortunately. Nonetheless I wholeheartedly agree that it's a very good idea so we'll keep the suggestion in mind! Beatis, the series is actually at years in the making--I think I first pitched the idea to Elena around 2009? And then promptly dragged on and on with this piece. Finally last week I sat down and wrote down everything I wanted to cover. Looking back I think one of the reasons why it took so long is because we want to cover it from a slightly different angle from everyone else, more of a humanistic approach and looking more in-depth at the ideas behind the creation more than anything else. Anyhow, I'm glad it's finally here! By the way, Turin's stance on Chamade's reformulation, if my memory serves me well, isn't new whatsoever. He has been pretty vocal about it for quite some times now. I remember reading a passage in "The Secret of Scent: Adventures in Perfume and the Science of Smell" (2006) that a master perfumer was even supposedly asked to talk to Turin about his stance. (This was years before the current IFRA regulations.) Now I understand where he is coming from (and have long made peace with it) but again it's not a beat I want to march along due to various reasons. I went to Saks last week and bought the new Chanel Le Blanc serum and cream - and I'm loving it! After that I walked to the Guerlain counter and spritzed on Chamade parfum. I used to have a vintage version so I can tell you the current parfum is great in comparaison to the original formula. New Chamade is far better than L'Heure Bleue. That said, two guys told me it smelled old - I always ask guys opinion, straight men ok, never ask a female friend or a gay guy what they think of your perfume - and I thought they were right, Chamade now smells dated. No matter how beautiful it is, it's not a perfume you're going to smell on a young woman for sure. Ah, Chamade - my "starter" Guerlain which will always be one of my absolute loves! In the mid-70s I finally decided I was ready to buy a Guerlain scent and had decided I loved Shalimar, Chamade and l'Heure Bleue. The sales assistant told me sternly that I was "far too young" for Shalimar and told me that Chamade was the one! 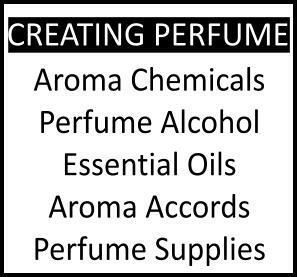 And I don't want to steal your thunder for the rest of your writings about this perfume, but did you know (I am sure you do) that it has one of the most complex formulae in all of perfumery and is the scent most often given to aspiring perfumers to deconstruct then reconstruct. this is the scent I associate with you, you know! Even more than Shalimar, perhaps, because it has something of that English rose freshness about it. It's just such a delicate and at the same time richly satisfying fragrance. I'm sure Albert will have lots of fascinating stuff to unveil in the following chapters ;-) Stay tuned! Chanel Le Blanc serum is $195 if I remember right and the cream $130, on that I had to pay NY sales tax. It's very expensive but I'm already seeing results, unlike other expensive brightening creams I tried in the past that never worked at all, Le Blanc works! It reflects the light from within. My skin does look healthier, softer, radiant and well hydrated. The smell is pretty strong, a generic white musk that keeps on giving and that's for the negative. Thanks for chiming in! Yes, I know very well that Chamade is one of the most studied fragrances in perfumery school due to its complexity and the phenomenal development curve: I've chosen to allude this morsel of information in the up-coming installments as well, never outright but stay tuned! Fiordiligi: In my haste I have combined my reply to you with Emma's. My most sincere apology: in my defense it's 7 a.m. here so I probably don't have all of my marbles! Emm, by the way: thanks for letting me know what you think of Le Blanc de Chanel. My mother is already using Sublimage (yes, she complains about the price--but it's one of the few that works for her) so I'm adding the serum to my shortlist for the upcoming mother's day present selection. To be honest I remember a decade ago Chanel didn't really emphasize the ultra-luxury skincare segment. (Of course, in the fall of 2003 Chanel had Carla Bruni as the face of its skincare campaign, of course years before her becoming the first lady of France, so who am I to complain really?) Then Sublimage came out (circa 2006? I can't recall exactly since it's too early in the morning!) in order to compete with Creme de la Mer, SKII and La Prairie--and now people talk about all the pricy Chanel skincare products! Thank-you all for the info. I heard that the decline of Chamade was a long term thing (who knows, sandalwood?). But parfums were always a different story for Guerlain. Unfortunately, it's always hard to know, because one doesn't always have a parfum tester handy, and the tester (which could be older) needn't correspond to the current parfum batch. So it's often a blind buy, a risky proposition with stuff that now cost $350 here. 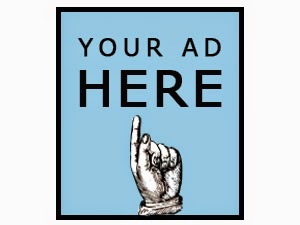 Emm: thanks for the comments - your info is reassuring. "Old" is definitely good news; "new" here in the US means "slutty pink cupcake". cacio: yikes, $350? Wow, we must be talking about the 1 oz. parfums? I really hope Guerlain can adopt the current Chanel display system where all the editions are lined up accordingly. This one time I had a friend visiting and I showed her all the different effects among the various editions of No. 19 in one whirl because the ceramic 'blotters' have them all (parfum, edp, edt--Poudre didn't come out until a few later). Oh well. Yes, 30ml parfum in the cute reversed heart bottle. But I don't think Chamade (and most other Guerlain parfums) come in other sizes (Chanels at least come in 15ml, around $185). thanks for the info! I must insist more with the SAs then. The lady at the St honore store insisted that for Chamade and Vol de nuit there was only the 30ml. I have seen the 8ml Chanel No 5 (about $100 here) - not interested in the other regulars (I'd think about no 19 and cristalle - but not sure there exist the parfum - it's not on the website, but it doesn't mean that it doesn't exist). I've also heard about Chamade and Vol de nuit being available in certain sizes if you want new parfums from the Guerlain store. I was referring to trust-worthy vintage sellers for the smallest edition, which I have seen offered a few times. Shalimar for sure is still available in the 0.25 oz parfum--to me still one of the better deals from the Guerlain universe. Still, I wish Guerlain can take notes from Chanel and still offering more parfums in 1/4 oz. edition. Oh well.